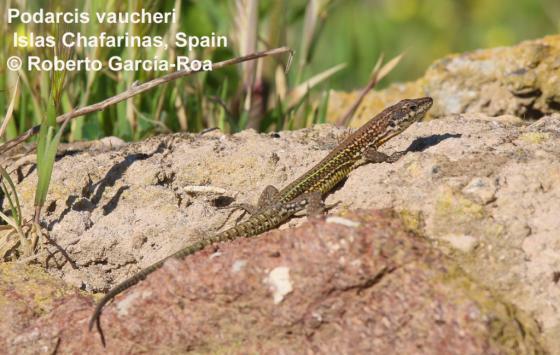 Can you confirm these amateur observations of Podarcis vaucheri? 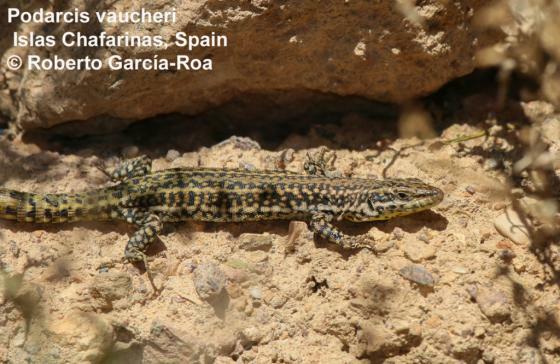 Type locality: Tanger, North-West Africa. Types Syntypes: BMNH (presumed, status unclear fide P. Campbell, pers. comm., March 2019). Comment Illustration of P. h. vaucheri in Schlüter (2004). 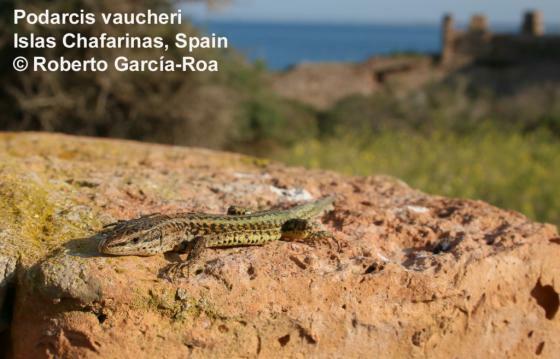 At present three mitochondrial lineages of this species are known: two in southern Spain and another inhabiting Morocco and Western Algeria (Kaliontzopoulou et al. 2011). 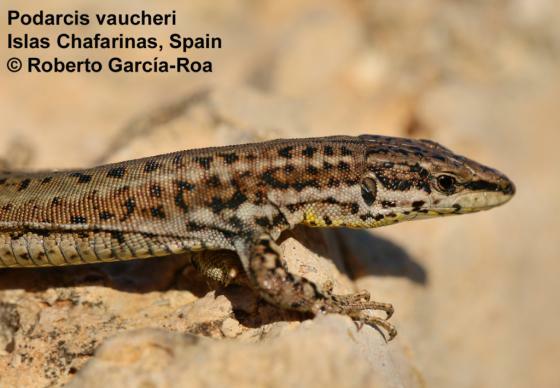 Notice that the rest of the North African range of the genus (NE Algeria, Tunisia and a small isolate in the High Atlas in Morocco) is still maintained under P. hispanica, since they represent a separate phylogenetic clade (Kaliontzopoulou et al. 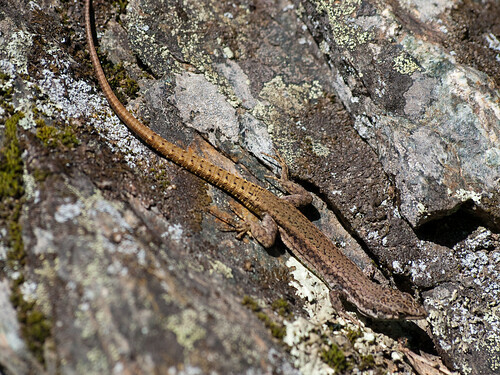 2011) and elevation to the species level by Busack et al. 2005 only included the Moroccan and Spanish populations. Distribution: see map in Caeiro-Dias et al. 2018. Harris, D.J; Carranza, S.; Arnold, E.N. ; Pinho, C. & Ferrand, N. 2002. 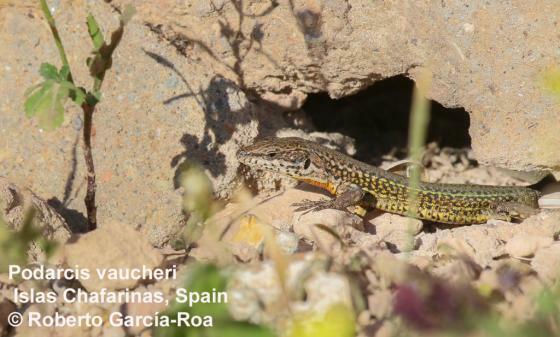 Complex biogeographical distribution of genetic variation within Podarcis wall lizards across the Strait of Gibraltar. 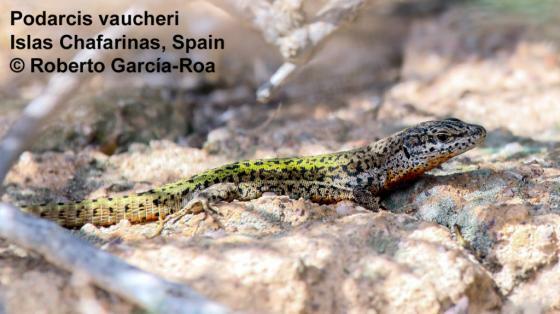 Journal of Biogeography 29: 1257–1262. Oliverio, M.; Bologna, M.A. & Mariottini, P. 2000. 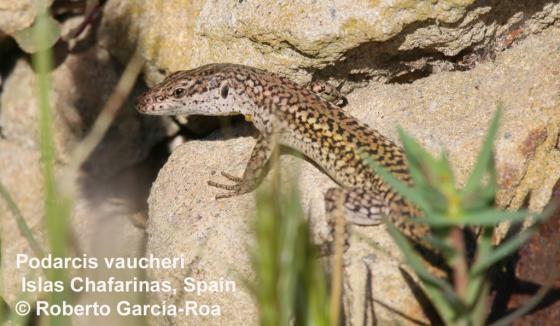 Molecular biogeography of the Mediterranean lizards Podarcis Wagler, 1830 and Teira Gray, 1838 (Reptilia, Lacertidae). 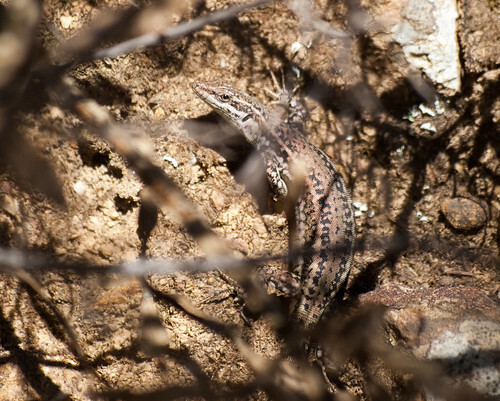 Journal of Biogeography 27: 1403–1420.